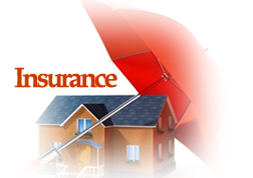 PRRSAAR offers all products of General Insurance under one umbrella. Prrsaar comprises of a team of distinguished professionals from insurance, finance and other management disciplines who have vast business & managerial experience. Prrsaar team evaluates the client's business environment and studies the risk profile. based on the results of these evaluations, Prrsaar team then suggests the most cost effective , integrated insurance package that is perfectly suited to the client's risk profile. Prrsaar has a nationwide network of branches all over India, equipped with top quality infrastructure facilities, to provide you prompt & efficient service. Prrsaar offers you a Peace of Mind by offering various life insurance plans for your unique & specific needs. Our philosophy is that for every financial problem, there is a solution also. And we are here to give you complete financial solutions. At the same time we offer you very Prompt & Reliable Policy related service for enduring relationship. We offer a very wide range of products to fulfill your particular requirements. You can always have an access to our 83 Branch Offices situated at prime locations of the city, or you can call our Relationship Manager to guide on your Investments.